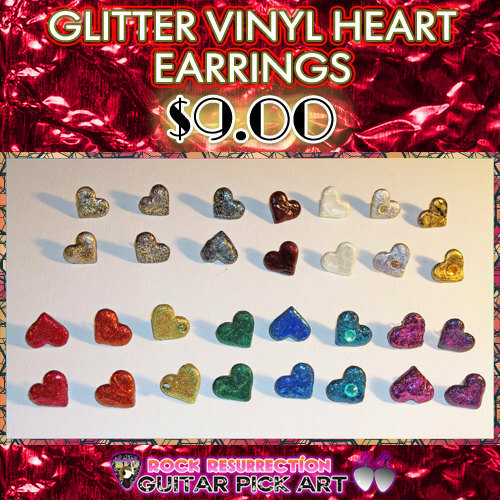 15 different vinyl heart stud earrings with glitter -- Super cute earrings made from vinyl record material. Available in: red, orange, yellow, green, blue, teal, fuchsia, purple, bronze, silver and gold, multi-color glitter, red vinyl (only one without glitter), white, silver, and gold! Heart pendants are the size of a Quarter.